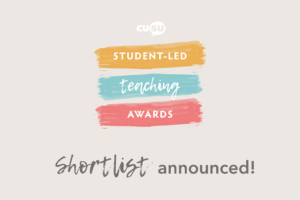 2019 will be CUSU’s 6th year of running the Student Led Teaching Awards (SLTAs). They’re one of the few opportunities that students get to formally recognise the effort and skill put in by those who work at the university. The university is its staff and students, whether it’s teachers and academics; those who give pastoral support like tutors, chaplains and nurses; or the many others such as porters or cleaners who contribute to the lives of all of us here. 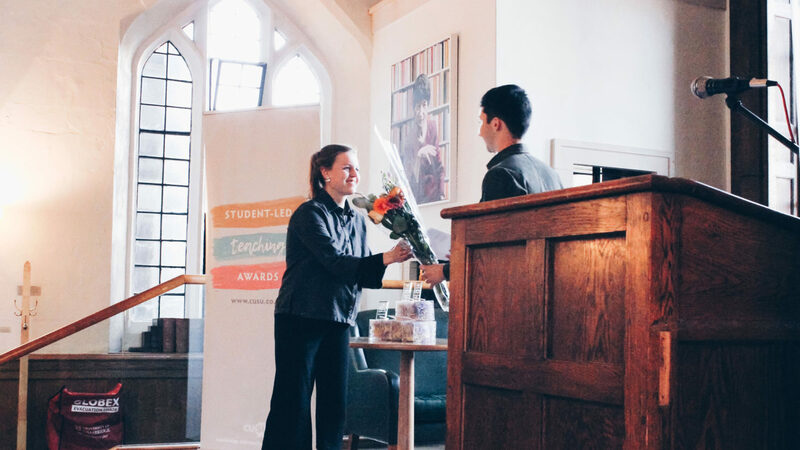 Staff and students have always supported each other, on a university-wide level and in the thousands of low-level interactions that take place every day. 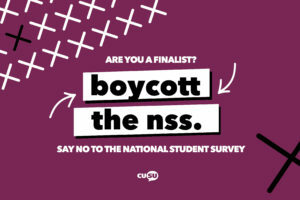 These awards are an opportunity for students to thank staff for their support and to send a clear message about what it is that we care about to the university so we can encourage them to support that too. We’ll be accepting nominations from any student from Wednesday 21st November until Wednesday 6th February 2019. I’ll be spending my time until then talking to people from every part of the university to make sure that they all know about the teaching awards, and that we recognise great work wherever it happens. Students can nominate any member of staff they think deserves recognition – we’ve suggested some categories but please don’t feel bound by them. If we agree that someone is exceptional then we’ll juggle them round to make it work! Once all the nominations are in we start the judging process. There are two sets of student panels: shortlisting, and then awarding. During the shortlisting process we’ll aim to make sure everyone is in the right category and whittle down the nominations to just those who were the most impressive. I know from being on the panel for the last couple of years as a student that this usually the hardest part, and there are always very few nominations that aren’t impressive. Once we have a shortlist, that panel will pass over the awarding panel. They’ll look through the shortlists and decide on who in each category should be the winner, and a pick out a few who were highly commended too. Awards are presented at a ceremony and drinks reception at the start of the Easter term. This year the ceremony will be on the 2nd May 2019. This year we’ll be presenting awards in 9 categories, designed to reflect the breadth of staff who are nominated as well as the kind of things that students in previous years have highlighted as important and noteworthy to them. Lecturer Lecturers or others who do content-based teaching to large groups. Postgraduate Research Supervisor Supervisors for research postgraduate courses, including PhDs & research-based MPhil courses. Supervisor (Arts, Humanities & Social Sciences) Supervisor for any taught course in the Arts, Humanities and Social Sciences. Nominations encouraged from either undergrad or taught postgrad. Supervisor (Science & Technology) Supervisor for any taught course in the Arts, Humanities and Social Sciences. Nominations encouraged from either undergrad or taught postgrad. This category should also include lab technicians etc. who are being nominated for academic support. Student Support (Academic Staff) Pastoral or welfare support for students from academic or teaching staff. Student Support (Non –Academic Staff) Pastoral or welfare support for students from non-academic staff. Innovative Teaching Teaching methods or styles that are particularly innovative, creative or original. Inclusive Practice Teaching or support that is particularly inclusive of all students, for example in terms of disability, race or gender. Working in Partnership with Students Members of staff who have worked with students to make student-led change or spread partnership working such as student representation. In all categories we’ll be considering the quality of nominations rather than the number of nominations for each person. We’ll also give thought to whether a nomination talks about something that everyone would have an equal opportunity to do; staying late to support a student every day is admirable, but it’s not something that everyone can do so we might be hesitant to award it. We’ll value nominations that include specific examples and anecdotes, as well as someone that’s sustained good practice over time. The Student Led Teaching Awards is one the best part of my job. 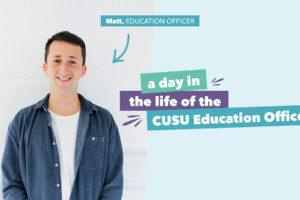 At CUSU we spend a lot time dealing with times when things aren’t going so well for students or their education. In the midst of that it can be easy to forget that the university is made up of its people, most of whom are dedicated, caring and impressive. This SLTAs are a great, and in my experience very much appreciated, opportunity to do recognise that. Hi, I'm Matt your Education Officer for 2018/19. I’m responsible for representing students and campaigning on education-related things. I sit on lots of committees where I talk a lot about inclusive teaching and assessment, workload and wellbeing, and making sure students are a big part of how the uni is run. I also train and support faculty reps and do lots of work to support student activism around education. Why run to be a Faculty Rep?